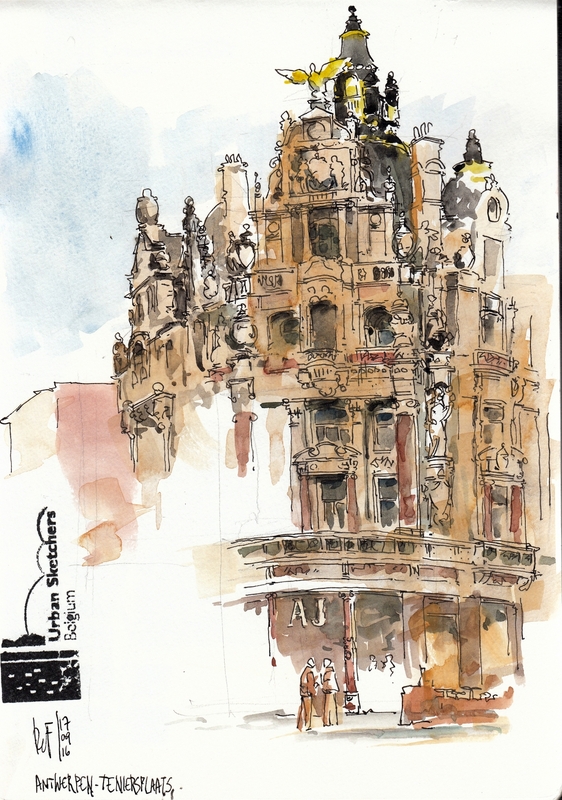 Yesterday an international Urban Sketching meeting was held in Antwerp. A joined effort of the USK groups in Belgium (both Wallonie and Flanders), the Netherlands and Germany. We met in Antwerp, about 60 sketchers, and had a terrific time. So many friends and beautiful drawings in so many different styles. This is a drawing of one of the many beautiful buildings in the city. A large megalomanic building, filled with numerous and intricate details. Too many to draw.